JetSetting Fools is a professional travel blog written by full-time travelers and digital content creators. Our website is dedicated to inspiring people to go on their own adventures and travel the world. Our growing readership and social media following seek our guidance on itineraries, walking tours and off-the-beaten-path adventures complimented with insight, history and culture. We intertwine our travel stories with detailed ‘how to’ specifics, advice and tips in order to enhance our fellow travelers’ experiences abroad. Thank you for considering to work with us! We are interested in building beneficial relationships by utilizing our position as travel experts to reach our engaged audience and beyond. Whether you’re a tourist board, brand, travel company, accommodation provider or product creator, let’s explore how we can work together. We are open to fresh ideas and unique opportunities to collaborate on projects. We can bring a new voice and fresh audience to your business through evergreen blog posts, social media mentions and real-life photography. As a partner, we will work with you on specific promotions to engage future travelers and the travel community. You can rely on us to provide honest feedback of our experiences and share them through storytelling, while still including the important details. We understand and take pride in lasting commitments. With the right brand, we are able to curate long-term relationships that help increase your business awareness and visibility. Who doesn’t love the chance to win? If you want to promote your product through giveaways, we are happy to help facilitate the contest through our social media channels. Whether you need a thousand words or a photograph worth a thousand words, we can help! We are able to create content for a variety of purposes – from hotel brochures to magazines to guidebooks. We have amassed an enormous collection of photographs that can be used as stock photos or destination specific. Contact us with your idea and let’s see how we can work together! As ethical bloggers, we write honest opinions based on our experiences. We value our editorial control and adhere to the professionalism of providing full disclosure. Click here to read some of the things our readers have said about us! 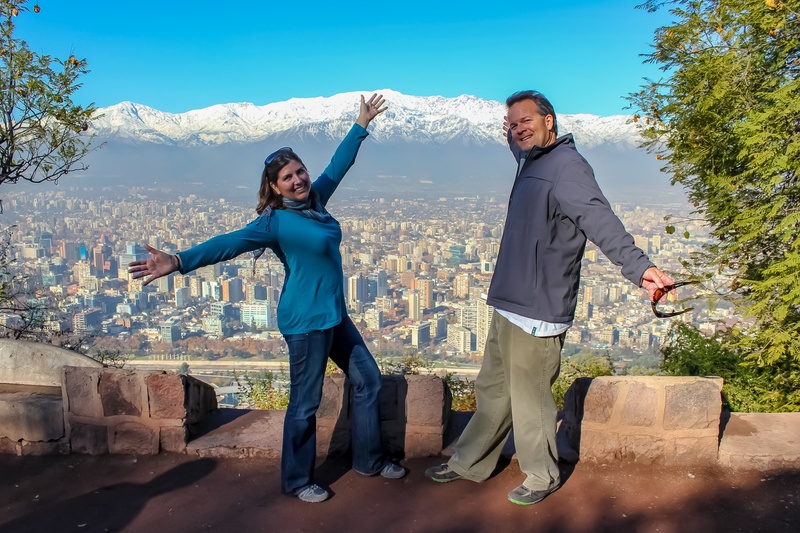 Sarah and Kris, better known as JetSetting Fools, are full-time, American travel bloggers. We are a married couple in our 30/40s who traded cubicles and corporate ladders for backpacks and guidebooks. Our adventure as travel bloggers commenced in April 2014, but travel has been a part of our lives much longer than that. Click here for our story. Sarah is the writer and photographer for JetSetting Fools. She has always felt compelled to write and has a degree in Journalism from Ohio University. Her education proved useful throughout her successful career in sales and marketing. Crafting stories, creating usable content and communicating valuable information has always been her forte. Photography has been more of a hobby, albeit, one she has a knack for. She uses a Canon DSLR and basic editing programs to capture moments and help tell the stories she shares. Our multifaceted social media campaign is run by Kris, who approaches it as a business but keeps it entertaining and interactive. As our Social Media Specialist, Kris has organically grown our social media following from zero to over 10,000 followers in just over a year. As Travel Coordinator, he puts to use his in-depth knowledge of the airline industry, which he gained in his 20-plus-year career with a major airline. His attention to detail and ability to think outside of the box are exceptional traits to have while traveling. We have both a passion for travel and a strong work ethic, which isn’t always easy to find in the travel blogging industry. We strive to encourage our readers to travel by producing well-written, entertaining and reliable resources. As a couple, our strengths and weaknesses are equally balanced between us, making us stronger as a team. For our one-page, printable Media Kit, click here. A screenshot of JetSettingFools.com Google Analytics can be made available upon request.